Andean peaks, Amazonian rainforest, Patagonian glaciers, Inca ruins, colonial towns, white-sand beaches and vertiginous nightlife: the wonders of South America set the stage for incredible adventures.Lonely Planet South America on a Shoestring is your passport to the most relevant, up-to-date advice on what to skip, what hidden discoveries await you, and most importantly, how to optimize your budget for an extended continental trip. Drift between river towns in the Amazon, shake it in Rio de Janeiro or hustle for traditional crafts in Ecuador all with your trusted travel companion. 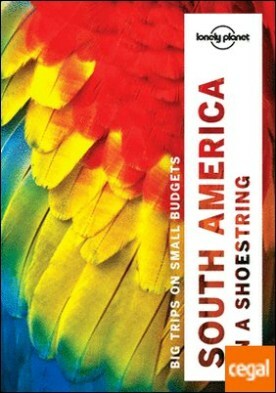 Get to the heart of South America and begin your journey now!Inside Lonely Planet South America on a Shoestring:? Budget-oriented recommendations with honest reviews – eating, sleeping, sight-seeing, going out, shopping, hidden gems that most guidebooks miss.? Color maps and images throughout.? Highlights and itineraries help you tailor your trip to your personal needs and interests.? Insider tips to save time and money and get around like a local, avoiding crowds and trouble spots.? Essential info at your fingertips – hours of operation, phone numbers, websites, transit tips, prices.? Cultural insights give you a richer, more rewarding travel experience – history, lifestyle, arts, religion, outdoor activities, cuisine, sports, environment, politics.? Over 170 maps.Covers: Argentina, Bolivia, Brazil, Chile, Colombia, Ecuador, French Guiana, Guyana, Paraguay, Peru, Suriname, Uruguay, Venezuela and more.